Abbott Laboratories conducts research and develops products primarily for human nutrition and pharmaceutical manufacturing quality. Nutritional products include items for infants through adults, including ingredients like prebiotics, which aid in the healthy development of the immune system. AbbVie (NYSE:ABBV) is a global, research-based biopharmaceutical company formed in 2013 following separation from Abbott Laboratories. The company’s mission is to use its expertise, dedicated people and unique approach to innovation to develop and market advanced therapies that address some of the world’s most complex and serious diseases. AbbVie employs approximately 25,000 people worldwide and markets medicines in more than 170 countries. The AbbVie Innovation Center is located in the Research Park at the University of Illinois and provides an opportunity for students and AbbVie’s Research and Development IT group to collaborate on projects to help advance our science. Acoustic Medsystems, Inc. (AMS) specializes in the design of ultrasound and radiation therapy systems and instrumentation for treatment of localized diseases. Archer Daniels Midland Company is one of the largest agricultural processors in the world. Serving as a vital link between farmers and consumers, they take crops and process them to make food ingredients, animal feed ingredients, renewable fuels and naturally derived alternatives to industrial chemicals. Ag-sensus works to provide farmers with a complete solution from the selection and development of unmanned systems to the critical sensor and control systems as well as the innovative imaging processing and data to knowledge for the integrated farming system. Agrible is a big data technology and data products company, focused on providing innovative science that farmers and ag companies can use easily every day to improve their production with cloud-based delivery systems. Products are currently sold to independent growers, soil test laboratories, crop consultants, insurance agents, commodities companies, traders, and major ag chemical companies developing seed technologies and new production methods. Decision Support is a Business Intelligence Competency Center for the University of Illinois. DS is responsible for scoping, designing, and delivering solutions to business problems using a combination of enterprise data warehouse and business intelligence frameworks. DS supports the University by managing the data warehouse, providing data access, supporting staff report development, and providing data education and training. With new technologies, such as dashboards and OLAP browsers, DS continues to transform raw data into valuable information to guide strategic decision making. DS is part of Administrative Information Technology Services (AITS). Beyond the University, DS is a leader in applying business intelligence and data warehousing best practices within an academic environment and we regularly participate in and present at Higher Education Data Warehousing (HEDW) and The Data Warehouse Institute (TDWI) events. Akuna Capital is a fast-growing boutique trading house that specializes in derivatives market-making and arbitrage. Amdocs is a provider of software and services for billing, customer relationship management (CRM), operations support systems (OSS). It clients include telecommunications “Tier-1” and “Tier-2” providers such as AT&T, BT Group, Sprint, T-Mobile and others. Ameren Corporation is a Fortune 500 company that trades on the New York Stock Exchange under the symbol AEE. It is the parent company of Ameren Illinois, based in Collinsville, Ill., and Ameren Missouri in St. Louis. Ameren Transmission Company, also based in St. Louis, designs and builds regional transmission projects. ANDalyze offers products for testing water contamination using catalytic DNA technologies. The Bud Lab will focus on data analytics, developing data research and innovation to solve problems ranging from assortment optimization, social media and market trends to large scale data initiatives, bringing together the University of Illinois’ top talent with the company’s portfolio of leading beer brands in a vibrant environment designed to stimulate innovative thinking. APL has made significant contributions to the improvement of existing lighting products and the invention of new ones. The majority of metal halide and high pressure sodium lamp manufacturers throughout the world buy their chemicals from APL. Applied Pavement Technology, Inc. (APTech) is a full-service pavement engineering consulting firm that provides effective solutions for the design, evaluation, maintenance, and rehabilitation of roadway and airport pavements. ARA is a leader in technologies and services to improve the performance and sustainability of national infrastructure. They help their clients with innovative solutions to complex safety, system planning and design, and maintenance and operations issues. Aptimmune Biologics specializes in the development and application of prophylactic measures against viral diseases of swine. Aqueous Solutions LLC creates, maintains, and supports software products for solving problems in aqueous geochemistry, including those arising in environmental remediation and clean energy production. Provides technology solutions for business including: Network design and implementation, ongoing network support and administration, network security audits and consultation, website design, content authoring, and hosting, database design and hosting, offsite data backup, and other storage systems. Artisan Technology Group was created in 1999 as a manufacturing company specializing in the development and manufacture of custom scientific research instrumentation particularly geared towards research in biophysics and the life sciences. They obtain used equipment, oftentimes broken, and applies their expertise and resources gained from instrumentation design and manufacture to refurbish the equipment which they then utilized in their own development and production processes. This equipment is also sold to scientific users. Services for software, development tools, intellectual property, semiconductors, and embedded systems. AMI’s self-healing technology repairs damage to coatings when it occurs, which extends lifetime and performance. Their systems offer maximum protection, responding to damage without the need for detection by manual intervention. AXIS Re, a subsidiary of AXIS Capital, is a leading diversified global reinsurer that provides risk transfer products, including treaty and facultative property and casualty reinsurance to insurance companies comprising catastrophe, property, professional lines, credit and surety, motor, general liability, engineering, marine, workers’ compensation and agriculture. Azulona is focused on developing a product to challenge the current educational model, improving learning in a real and measurable way. Its solution will be developed to scale internationally, especially to support students in emerging countries. BioAnalytics is an early-stage biotechnology company focused on designing the next generation of immuneassay technology. In 2016, 400 million people do not have access to essential health services. Community health NGOs are working hard to close that gap utilizing trained healthcare workers that conduct research and deliver healthcare in rural, low-tech settings. Blink Technologies is a new way to deploy high-tech data collection, retention and analysis solutions intuitively in low tech environments enabling the adoption of important population and health management applications in underserved markets of India and Africa. The Lab will focus on research and experimentation in data science and data technologies as well as on infrastructure automation and use of the most modern programming frameworks and technologies such as Open Source, Big Data, Cloud, DevOps, among others. CASI develops and licenses very fast and high capacity iterative and direct solver engines for the solution of linear systems, software professional services on-site and off-site. CASI has been developing and licensing mission-critical solvers for solutions of linear systems for over a decade. These are widely used in the areas of Engineering Analysis and VLSI Simulation. These solvers are used by over 70,000 users worldwide. The Caterpillar Simulation Center utilizes simulation technology to optimize product and process designs while reducing overall development time and cost. The center addresses engineering design issues such as materials processing, manufacturing processing, and structural analysis. Caterpillar designs, manufactures, and services heavy machinery world wide. Cazoodle provides software and internet services for Web search, integration, and mining, with a central objective to “deepen” search on the Web to access the vast amount of data beyond the reach of current search engines. The company focuses on developing a suite of solutions for enabling data-aware search to both the surface and the deep web. Cbana Labs, Inc. is developing integrated micro-gas chromatograph (micro-GC) analyzers to amplify the sensitivity and speed of how gases are sensed and measured. Micro-GCs have a variety of uses ranging from foodstuff testing to environmental monitoring, as well as homeland security, military and industrial applications. CTC is the best choice for metro ethernet, structured cabling, and broadband services, providing the most comprehensive range of solutions to meet the needs of today’s commercial and industrial buildings. CTC can help customers create sustainable, intelligent environments through its data wiring devices, network and data center connectivity solutions. CharmWorks Inc. plans to create robust versions of the University software called Charm. Charm is a system for helping programmers write science and engineering applications for powerful computers, such as clusters. The software includes multiple components including adaptive runtime libraries, performance analysis tools, debuggers, visualization tools etc. Chromatin is employing new genetic tools to design and market products that confer commercially valuable traits in plants, including improved nutritional and health characteristics, and can be used for industrial, agricultural, and pharmaceutical product development. Improves the utilization and performance of mobile network resources to meet subscriber demand for network capacity. The Richard G. and Carole J. Cline Center for Democracy is dedicated to advancing human flourishing around the world by using extreme-scale analysis of global news coverage to extract structured insight out of unstructured information, equip researchers with new tools for transforming that insight into deeper understanding of the causes and consequences of social conflict, and empower decision makers to apply this understanding in ways that promote societal well-being around the world. Cobalt is one of the world’s leading developers and producers of signal conversion gear for the television broadcast market. Provide custom programming, content management and database development services encompassing desktop software, web solutions, mobile applications, cloud migration, Cloud in a box, IT outsourcing, back up and disaster recovery, service and repair, physical to virtual migrations, specialized cloud migration and off site backup. Common Ground is developing knowledge communities which meet in person at annual conferences. Common Ground is a meeting place for people, ideas, and dialogue. CDG serves telecommunications companies nationwide with billing products deliverable as outsourced, online and licensed software solutions. High speed internet service provider in rural areas of Illinois. Provides research and consulting expertise in energy transformation with focus on improving efficiency, increasing compactness, reducing weight, and addressing environmental concerns. Services include: experimentation, simulation, analysis and consulting, fabrication, product improvement, education and training services. CU Aerospace is engaged in identifying and developing promising new aerospace technologies with the ultimate goal being commercialization and distribution of those technologies. Aerospace technologies: lasers, space propulsion, modeling and simulation. Best known as DCB Inc., Data Comm for Business has been manufacturing and supplying innovative data communications equipment to businesses nationwide since 1981. A leader in the design of high-performance serial data management equipment including high speed access devices, FRADS, ethernet gateways, multiplexers, modems, DSUs, wireless and other data communications equipment. Experienced in supporting communications systems of all sizes… from simple, single-user setups to million dollar networks. These networks connect remote LANs, terminals to computers, POS devices to hosts, PBXs, T1, OC3, and other systems. Defend7 is a security startup working to make modern computing safer for everyone. Modeling and simulation of various electromagnetic phenomena, development of computational electromagnetic software, and building electronics and custom antenna hardware prototypes. D&E Technical is a diversified technical consultant with expertise in Environmental Chemistry, Atmospheric Dispersion Modeling, Hazardous materials management, Geostatistics and Spatial Uncertainty Assessments, Soil Science and Chemical fate. Services include scientific research and evaluation, modeling and simulation, software development, scientific and technical writing and project management. Distant Focus Corporation specializes in designing and fabricating prototype systems. They supply prototype devices in quantities of 1000 or less and can help you connect with the appropriate contract manufacturer for the transition to larger production quantities. The Dow Innovation Center is an information technology development center that will develop data management solutions to drive value and accelerate discovery in the Research & Development (R&D) organizations throughout Dow. Eden Park Illumination is a fast growing, dynamic lighting technology company, anchored in over fifty years of heritage through our affiliation with the Laboratory of Optical Physics and Engineering at the University of Illinois. They develop and manufacture thin panel “Microplasma” lighting systems that are fully recyclable, sustainable and non-toxic. ESE aims at developing smart adsorbent materials for energy and environmental applications. EP Purification develops prototypes for a series of ozone generators based on Microplasma technology. Offering ozone “through-puts” ranging from 10 grams/hour to more than 1 kg/hour, those reactors will have a footprint at least an order of magnitude smaller than those available with conventional technology. EpiWorks is a semiconductor company that engineers, designs and manufactures gallium arsenide epitaxial wafers for visual display, lasers, and solar energy. Epitaxial devices are the key to improving the performance of semiconductor-reliant communication products like cellular phones and fiber-optic networks. EPTCO assembles, distributes, sells and supports video security and surveillance equipment from the Champaign operation, manufactures parts in China and has sales offices in California for the sales of Zmodo brand equipment, DVR and NVR. Finisar is the world’s largest supplier of optical communication components enabling high-speed voice, video and data communications for networks, storage, wireless, and cable TV applications. FlipWord is a passive learning tool that teaches within the content of other applications. FlipWord currently works by intelligently replacing words in a browser with equivalent words, either in a foreign language or SAT-level words. It occasionally tests the user with an inline flashcard, typing entry, or speaking test. Algorithms learn what knowledge each user gains based on passive and active interactions and progress to more advanced words. All of this occurs without opening an app, deciding which words to study, or changing habits to incorporate learning. The fNograph is a fast, simple and easy way to observe and interview consumer segments from around the world. The fNograph platform is used by companies to visually validate insights and produce short video stories that bring data and strategies to life. Foxconn Interconnect Technology Limited (FIT) focuses on the development, manufacturing and marketing of electronic and optoelectronic connectors, antennas, acoustic components, cables and modules for applications in computers, communication equipment, consumer electronics, automobiles, industrial and green energy field products. With offices and manufacturing sites located in Asia, the Americas and Europe, FIT is a global leader in the supply of precision components. Frasca International engineers, designs, programs and manufactures flight training equipment for airlines, flight schools and military organizations worldwide. Gcom provides legacy protocol data communications solutions to technology firms as well as multinational Fortune 500 companies. GlucoSentient has developed a powerful technology that is transforming the Personal Glucose Meter (PGM) into a device that is capable of quantitatively and conveniently detecting other non-glucose targets. Applications include: Therapeutic Drug Monitoring, Heart Health Monitoring and Food Safety. Grainger is a business-to-business distributor of products used to maintain, repair or operate facilities. Millions of businesses and institutions worldwide rely on Grainger for pumps, motors, hand tools, janitorial supplies, fasteners and much more. These customers represent a broad collection of industries including healthcare, manufacturing, government and hospitality. They place orders over the phone, at local branches, online, by fax and using mobile devices. More than 4,000 manufacturers supply Grainger with the 1 million products that are stocked in Grainger’s branches and distribution centers or sourced through a network of suppliers. HAL Communications Corp. is a world leader in the development of high quality, value priced hardware and software radio data communication products integrate in networks covering large geographic regions. Customers use our products in private land mobile radio data communication network systems as primary or backup services for areas without infrastructure. At HBM, we are breaking technological barriers with rugged, lab and high speed data acquisition systems (DAQ), professional analysis software, weighing components for an array of industries and administering state-of-the-art torque, force and pressure measurements using our world-leading strain gauge technology—including transducers, sensors and load cells plus custom assemblies … all to meet your unique testing needs. The system will be a live GPS pin point of a emergency responder from his or her current location to the agency or Dept. The GPS from their phone will track the location and show it on a map when responding. It will allow the officer of the agencies to make wise choices on who, what, and when to send the emergency vehicle. This software will be mainly designed for the fire service but could be changed for other agencies. A Coolant reclamation company based on superior engineering and chemistry know-how to solve problems related to refrigerants and their effect on chiller performance. Provide technical support for the products and marketing of the parent company Hunan Hong Ying Xiang Biochemistry Industry Co., LTD that produces enzymes for the biofuels industry. Illinois Crop combines the genetic testing, Identity Preserved (IP) and field-to-factory quality-management expertise to serve as a third party in your industry for a successful business relationship. A global leader in winter farm and plant breeder services, Illinois Crop Improvement Association offers you the expertise and comprehensive capabilities you need to bring the latest product advancements and your genetics to market-faster, and with greater confidence. Illinois Foundation Seeds, Inc. (IFSI) is a leading research, product development, licensing and production company serving the seed industry. IllinoisRocstar LLC performs computational engineering analyses for commercial industries and U.S. government agencies. The members of IllinoisRocstar employ first-principles based physics for high-fidelity numerical analysis of fluid flows, combustion, materials, structures, and their interactions in complex changing geometries. Indoor Climate Research and Training (ICRT) conducts basic research at the intersection of energy efficiency and indoor air quality, and also runs the training program for the Illinois Home Weatherization Assistance Program which provides weatherization services to families around the state of Illinois. Research projects include studies on radon, ventilation, and combustion safety and the impacts on human health. ICRT partners with other academic institutions, research and advocacy groups, and state agencies to translate research results into actionable practices. Industrial Heat focuses on the research and development of new energy technologies. The focus of InnSight Technology is to develop novel ophthalmic devices to address unmet needs within clinical ophthalmology. Lead by Leanne Labriola, DO, a retina specialist, and Dipanjan Pan, PhD, a professor in bioengineering, the goal of the company will be to pursue ideas that can be translated from lab to clinic. Inprentus intends to become the world leader in mechanical fabrication of ultrahigh precision diffraction gratings, which are optical elements used for spectral analysis of ultraviolet and x-ray radiation. Inscites is a National Science Foundation funded digital start-up developed by scientists to integrate into a researchers workflow and allow easy/secure knowledge curation and collaboration. By leveraging digital technologies, Inscites increases the return on investment on research spending. Supplies technology and services to imaging scanner equipment makers and supply chain partners that increase computational efficiency of image reconstruction in CT, PET, SPECT, and MRI by a factor of 20-100. Product development includes compiler technology software and firmware, and multi-core processor technology support and development. IntelinAir’s holistic approach to solving the pressing issues in precision farming and sustainable agriculture for the purpose of delivering actionable insights is based on integration of robust flight control technology, precision data analytics and user-friendly visualization interface. The SafeSmart autopilot uses patented control technology, licensed by UIUC, tested over the past ten years by NASA, US Air Force and other industries, to handle high winds, inclement weather and other component failures. On the agricultural data analytics side, IntelinAir has partnered with UIUC’s remote sensing lab and has obtained NSF funding to develop the aerial weed scout, planned to launch in spring of 2016. Currently, IntelinAir is shipping its R&D kit to its first customers and is building intensive partnerships with beta farms across the country. IMO’s mission is to provide innovative, medical informatics tools that enable caregivers and patients to improve decision-making and efficiency to realize better health care while providing the performance and reward mechanisms for career opportunities and personal growth of IMO employees. IntelliWheels develops innovative wheelchair technologies. Their automatic transmission system improves manual wheelchairs; by incorporating a gear-shifting system, wheelchair users can mitigate stress on their shoulders, avoid the inconvenience of heavy motors and batteries and not compromise independence. Research and testing company providing quality and value added service to functional foods, nutritional supplement, cosmaceutical, OTC and pharmaceutical industries. ISS has been committed to the development and design of highly sensitive scientific instrumentation for research, clinical and industrial applications. Over the years, their innovations introduced to research-grade fluorescence instrumentation generated a second product line for medical applications. ITV-3 is an internet gigabit service provider over the gigabit fiber network in Champaign-Urbana. The Entrepreneurship at Illinois iVenture Accelerator allows our top student startup teams to spend the summer on campus with the time and support they need build prototypes, create a value proposition, test demand, research the competitive landscape, validate market size, progress in developing their startup ventures. Whether you are creating a technological innovation, social venture, or cultural campaign, this accelerator equips you with the time, space, resources, and mentorship necessary to turn your idea into a scalable venture. Innovations for off-road machine applications. John Deere is the leading manufacturer of agricultural machinery in the world. This machinery includes tractors, combine harvesters, balers, planters/seeders, ATVs and forestry equipment. New for 2015, Jump Labs provides select UIUC students the opportunity to engage with mentors from the Jump family: Jump Trading (algorithmic trading and technology), Jump Capital (venture capitalism), and Jump ARCHES (philanthropic endeavor to stimulate the advancement of health care). By pairing our industry leaders with the brightest student minds at Research Park, we foster new relationships and shoulder a wide range of part-time and full-time internship projects designed around collaboration, innovation, and excellence. Current focuses include high-performance computing, large-scale data mining, and software development within our core trading technologies. Hyperthermia therapy equipment for cancer treatment. Provide testing environment for circuitry protection devices. MakerGirl sessions are for girls aged 7-10 and are led by university STEM women. All of our sessions teach young girls 3D printing, while also teaching them about women leaders in STEM fields, innovative companies, cutting edge technology, and much more. We want your MakerGirl to come to our session and depart wanting to actively participate in any and all parts of STEM! Mimosa Acoustics is dedicated to bringing you equipment that improves and simplifies hearing screening and diagnostics. Provides services (Knowledge score) to Learn, Self Assessment and comparative analysis to identify gaps in knowledge. Students, parents and teachers can use these scores to develop personalized learning plans. MulticoreWare Inc is a Software and Systems Integration solutions company providing heterogeneous multicore (h-multicore solutions) for high performance computing applications using multicore and many core processors. Nardo Technology develops technology that interfaces with mobile devices to turn them into chemical detection devices for use in the agriculture and forensic field. The National Center for Supercomputing Applications (NCSA) is a hub of transdisciplinary research and digital scholarship where University of Illinois faculty, staff, and students, and collaborators from around the globe, unite to address research grand challenges for the benefit of science and society. Current research focus areas are Bioinformatics and Health Sciences, Computing and Data Sciences, Culture and Society, Earth and Environment, Materials and Manufacturing, and Physics and Astronomy. Tools available to partners include the National Petascale Computing Facility. Network Perception is a startup founded by a team of network security and critical infrastructure experts and researchers. We design and develop software solutions to automatically audit the security and compliance of critical networks by analyzing the configurations of firewalls and routers. Newell Instruments develops and manufactures electronic concentration sensors for refrigeration and air conditioning industry research. Consults and researches on energy-related problems specializes in industrial applications involving plasmas. Obiter Research LLC is a chemical research and manufacturing organization. They provide high quality fine chemicals, research services and custom manufacturing with the most economically attractive prices. OceanComm has developed a high-speed wireless underwater modem which enables wireless video streaming underwater and wireless remote control of underwater vehicles. Currently, the oil and gas industry heavily relies on remotely operated vehicles (ROVs) to find and produce resources offshore. These vehicles are all tethered today, which results in significant operational costs. A wireless solution could eliminate the costs of having to tether an ROV. OmniEars is a student startup partially sponsored by the iFoundry program, the company has already developed marketable highly customized in ear monitors. However, OmniEars is still pushing the boundaries of wearable electronics. For instance, OE is currently developing a mobile software that utilized 3D technology which significantly increased the manufacturing process of in ear monitors. More of OE’s future products are still in the process of development. Onconostic Technologies Inc. (formerly Oracle Biosciences) is developing a single gene-based clinical assay for diagnosis and prognosis for Basal-like breast cancer for use in clinical diagnostics and subtyping. Oso is the maker of Plant Link, a moisture monitoring and control system for plants, home gardens and lawns. Dental office supply printing, distribution, packaging and service center for orthodontia imaging software, Eagle Soft. Provides fast, customized solutions for internet, phone and cable television needs. Pavlov Media operates in 40 states in more than 140 markets throughout the country. Personify Live embeds real-time video of a speaker into any desktop setting-such as a PowerPoint slide show or online demo allowing you to naturally interact with your content to promote greater engagement and personal interaction while sharing visual cues such as facial expression and body language to increase engagement. Petronics makes high-tech health and entertainment products for house pets. Our first product is Mousr, an artificially intelligent robotic mouse that can see and react to a cat’s movement, just like real prey. Phi Optics develops patent-pending disruptive technology invented at UIUC combining hardware and software aimed at displacing conventional optical microscopy in all its applicable industries: life sciences and pharmaceuticals medical diagnostics nanotechnology semiconductor testing and displays. PhotoniCare has developed an improved handheld imaging tool that will enable physicians to quickly and accurately diagnose middle ear infections during routine examinations. In contrast to the traditional otoscope, which hasn’t changed in over a century since its inception, the PhotoniCare CLEARVIEW™ allows the physician to look through the eardrum to directly observe and characterize effusions and biofilms responsible for infection in the middle ear. CLEARVIEW™ will dramatically improve diagnostic information without adding time, complexity, or significant cost to the routine patient exam. The improved accuracy will reduce provider costs and improve patient outcomes. Provides software development services including content management, mobile applications, custom programming, Drupal support and maintenance, marketing, usability testing, web accessibility and web design and development. Ploughman Analytics brings strength to your team by systematically processing information to rapidly inform decisions. PowerWorld’s wide range of products provide the tools needed by transmission planners power marketers system operators and trainers educators and anyone else desiring access to power system information and analysis in a user-friendly format. Development and manufacturing of educational samples for Atomic Force Microscopes and X-ray equipment. Development and manufacturing of standard samples for Atomic Force Microscopes and X-ray equipment. Commercial analysis of materials. Conduct environmental research and natural resource studies and provide technical consulting services via the Illinois Natural History Survey, Illinois State Geological Survey, Illinois State Water Survey and Illinois Sustainable Technology Center. Prominic.NET is a home-grown, US-based hosting services provider, providing services and support to businesses all over the world. We get up in the morning to make sure your business runs as smoothly as possible. PSYONIC’s mission is to deliver advanced, neurally-controlled prosthetic hands with more functionality and lower cost than state-of-the-art prostheses. By employing machine learning algorithms, their prostheses are able to recognize different patterns of muscle activity from the user’s residual limb. PSYONIC will also have the first commercially available prosthesis capable of sensory feedback. Through these innovations, PSYONIC will disrupt the status quo of the prosthetics industry and decrease prosthesis rejection and abandonment. Quicket Solutions provides cloud-based, mission critical solutions for law enforcement and other public safety agencies. The e-citation and e-report system used is a turnkey solution that enables digitization of information at the source of incident, real-time data sharing, fast and easy report generation and intelligent data analytics. Quicket will enable clients to recapture lost revenue, recognize new revenue and increase officer safety. Most importantly, this solution represents a game changing departure from current e-citation models by offering a zero upfront cost, pay-as-you-go model for clients. R Systems provides flexible high-performance computing (HPC) resources for academic researchers and commercial organizations. The company offers traditional Linux clusters as well as clusters that run on the Windows® HPC Server 2008 operating system. A full service dental lab that specializes as a digital dental lab making anterior and posterior crowns, partial crowns and veneers, full cast crowns, dentures, crown and bridge, porcelain fused to metal and aesthetics. Rao Research is a Civil Engineering consulting company engaged in research and technology transfer services in the areas of highway materials, pavement analysis and design, performance prediction, nondestructive testing, and value engineering. Raytheon Trusted Computer Solutions (RTCS) the global leader in cross domain solutions provides software and services that enable federal and civilian government agencies 5 Eyes NATO and high risk industries such as Financial Services the ability to share and access information securely across multiple networks. RINGR allows users to record a conversation with anyone, anywhere in the world, on any device, and have it sound like the two parties are in the same room at the same time. To date, interviews have been recorded by thousands of users in 29 countries and six continents around the world and have been heard by millions of people on networks such as ESPN and NPR. Rithmio is a data analytics software company with an analytics engine based on research originally funded by the US Air Force for missile guidance and satellite navigation applications. Our first product is a gesture recognition system for wearable devices. The worldwide technology and market share leader in wide-area data services (WDS). Riverbed provides the first and only comprehensive WDS solution to a host of severe problems that have effectively prevented enterprises from sharing applications and data across wide areas. Riverside Research is an independent 501(c)(3) not-for-profit, scientific-research institution committed to enhancing the security of our nation through trusted, high-level technical advisory and engineering support to government entities, public agencies, and private subcontractors in the national security and intelligence sectors. Runtime Verification creates tools that will improve software engineering through extracting information from running systems and using it to detect code faults and behaviors. For more than 60 years, Sandia has delivered essential science and technology to resolve the nation’s most challenging security issues. A strong science, technology, and engineering foundation enables Sandia’s mission through a capable research staff working at the forefront of innovation, collaborative research with universities and companies, and discretionary research projects with significant potential impact. Sandia National Laboratories is located at the Research Park as partnership with the University of Illinois Applied Research Institute. Sandia’s interest areas to pursue in this location include: complex systems design, data sciences, digital manufacturing, and power on demand solutions. SC4 aims to commercialize tested and high productivity germplasm miscanthus and other C4 perennial grasses. Serionix develops high performance technologies for water and air purification. Using fibrous activated carbon and ion-exchange materials, Serionix purification is differentiated by rapid rates of contaminant uptake, well-defined selectivity for targeted chemicals, and potential for low-cost production. The company has initially targeted two niche markets: drinking water purification and DOC collective chemical protection systems. The company’s technologies, however, represent a strong platform with verticals in many different markets totaling several billion dollars annually. A self-protection technology company, providing one-click access to safety and security through personal accessories of your choice. SFM Technology, Inc. is a software development and engineering services company supporting the needs of PCB designers, librarians, and manufacturability engineers. SGT provides cutting edge managed technology solutions that begin with a well designed network and a stable secure computing environment. Ultra pure inorganics and metals for high tech applications. A Center of Excellence in ultra-high purity inorganic materials with an R&D team specializing in both catalog products and custom research services. SIMnext is developing affordable and exportable medical simulation training devices in collaboration with OSF Healthcare (OSF) Jump Trading Simulation and Education Center (JTSEC) and the University of Illinois (U of I) Colleges of Medicine in Peoria and College of Engineering in Urbana-Champaign. SNOOZ uses natural sound to help you get sound sleep, and to safely soothe your infants to sleep. SNOOZ is an acoustic white noise machine that helps you fall asleep and stay asleep. Using a proprietary fan in an acoustically optimized enclosure designed on supercomputers, SNOOZ produces peaceful white noise to help the world fade away so you can sleep. Plenty of new devices track sleep disturbances. SNOOZ ends them. Period. SNOOZ also connects to your phone/tablet, where you can use our free app to control the device, sync it to your wake-up alarm, check that the volume is at a safe level for in your nursery (or for yourself). Soil Diagnostics Inc. is in the business of helping growers manage their most valuable asset, their soil. We are a small startup with a big vision: We want to bring cutting edge, low cost, high resolution monitoring services for soil nutrients and soil-dwelling pathogens to enable growers to maximize their profitability while reducing their input costs. Enterprise software tools for small and mid size businesses. An NMR contract testing facility, providing NMR results with GLP/GMP compliance. They can also prepare protocols, study reports, provide method validations, conduct audits, and inspections. Create mobile educational games for kids. Starfire Industries LLC specializes in innovative plasma engineering across a range of markets, including aerospace, defense, nuclear, homeland security and manufacturing semiconductors. Conducts actuarial sciences, advanced research and software development. Is a leader in automobile and personal asset insurance. Business Analytics Software and Solutions for the Healthcare Industry. Makers of Kyma X, an incredibly flexible and powerful sound design environment being used in various commercial product, research and in-home music applications. Provides a unique suite of technologies and supporting services that make possible the management of large and complex data collections. HDF addresses the problems of how to organize, store, discover, access, analyze, share, and preserve data in the face of enormous growth in size and complexity. TPM provides engineering consulting services including: product development, PCB prototyping, project consulting, modeling and prototyping, color/shape design, electronic layout, mechanical design, packaging to product and industrial design. Founded by Gary Durack, Bob Rauschenberger, and Peter Fox, the TEKMILL specializes in prototype and small-scale manufacturing solutions for clients ranging from universities to startup companies. They are able to deliver a variety of products from custom design to machining to small-scale fabrications. TipTek develops and manufactures probes for atomic force microscopy. Turn helps power the world’s largest advertisers and trading desks through technology that delivers real-time data insights on campaign performance. Tyto uses GIS software platforms for linking database information to valuation decisions for farmland. Clients include appraisers, financial institutions, investors, and farm operators. Tyto is developing a web-based automated farmland appraisal system to incorporate detailed geospatial analyses for fine-grained differentiation for variables that impact the cost of owning and operating farmland. Technology for military installations, construction engineering technology and testing +/VAC.Technology for military installations,construction engineering technology and testing +/VAC. 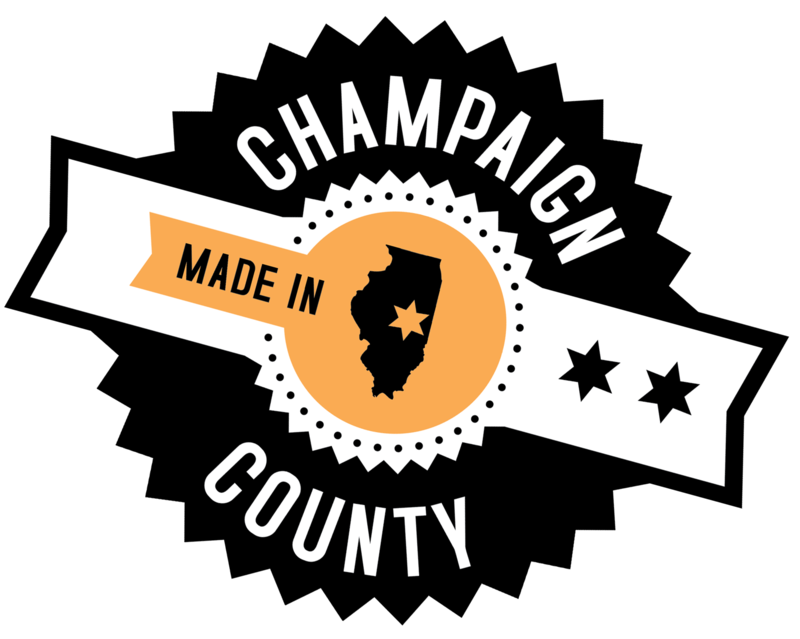 The operation was formed in Champaign in the 1960’s in partnership with the University of Illinois. They have one of the largest earthquake simulators in the U.S. and conduct a variety of structural research. University education and research & development. Veriflow Systems is working to develop a software system that automatically verifies whether computer networks are operating securely and correctly, and assist network operators in determining the cause of problems. High-end display and interaction technologies. Vision Technology provides several hardware and software technologies for imaging professionals. These include advanced imaging products and image manipulation software for capturing and viewing panoramic and hemispherical images with clarity and precision. Video Game Studio, Products include: Saints Row, Red Faction, Summoner, The Punisher, Free Space, Descent. Photo courtesy of Volition, Inc.
Internet service provider and fiber infrastructure installation. Waterborne Environmental Inc. solves water quality and environmental problems for chemical companies and governmental agencies. They offer customized consulting services in environmental modeling risk assessment field studies geospatial information management training and litigation and regulatory support. WayMark Systems is a double-bottom-line company dedicated to enabling stakeholder alignment in complex systems. Begun with technology pioneered under National Science Foundation funding, we have a patent pending on new ways to visualize alignment and misalignment. We have both an entrepreneurial bottom line and a social bottom line, where performance on each is tracked. Wearifi focuses on new classes of miniaturized, biocompatible near field communication devices for the consumer electronics industry. Markets include authentication, electronic transactions, environmental sensing, and clinical tracking. Isotopic analysis and products for collection and transport of geological gas samples. Mathematica software and related applications. Mathematica is the world’s ultimate application for computations and the only development platform fully integrating computation into complete workflows, moving you seamlessly from initial ideas all the way to deployed individual or enterprise solutions. A web based computational knowledge engine. Xerion Advanced Battery Corp. is developing a technology called StructurePore, which dramatically reduces both battery charge and discharge times compared to rechargeable batteries on the market today. Is an American multinational corporation globally known for its web portal, search engine and related services. Your New Scope offers an environmentally friendly, micro-electronic photonic device wearable treatment to make your healthcare at home easy.